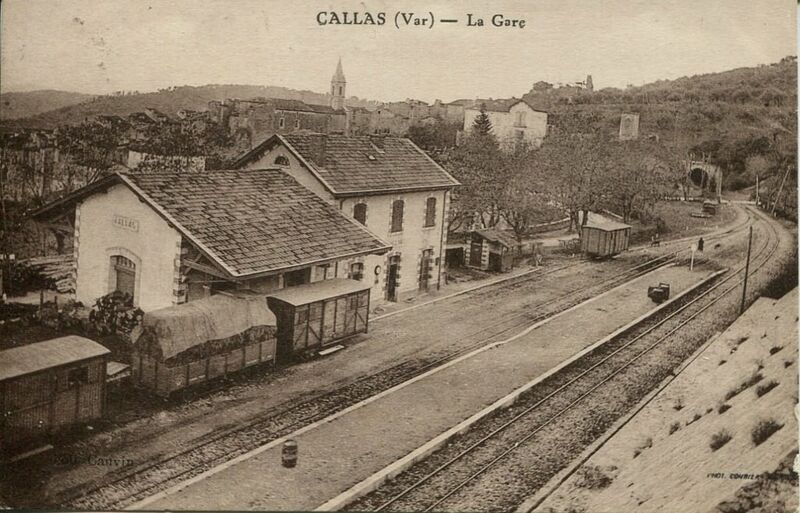 The final post in this series about the Central Var Metre-Gauge Line between Nice and Meyrargues. This covers the rolling stock used on the line. 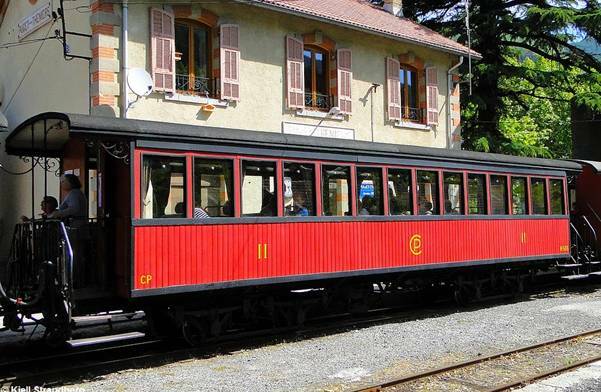 The rolling stock used on the Central Var line was very similar to that used on the coastal line, Le Macaron. In producing the details of rolling stock on that line, photographs from the wider network were used. 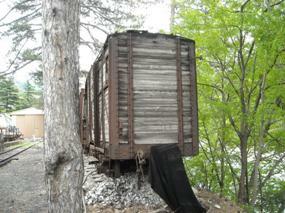 Very little of the rolling stock from the line entered into preservation, but a few items did. The following photos from the 21st Century provide good details for those who are interested. 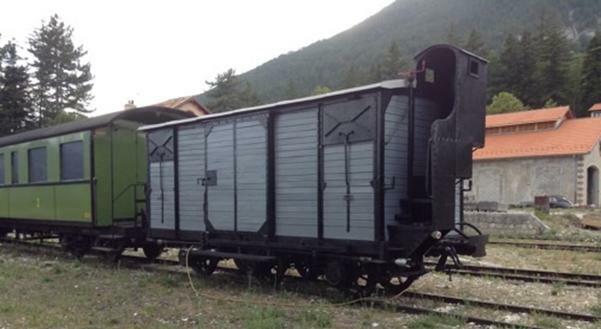 One of 2 authentic coaches from Le Chemins de Fer du Sud de la France preserved today. 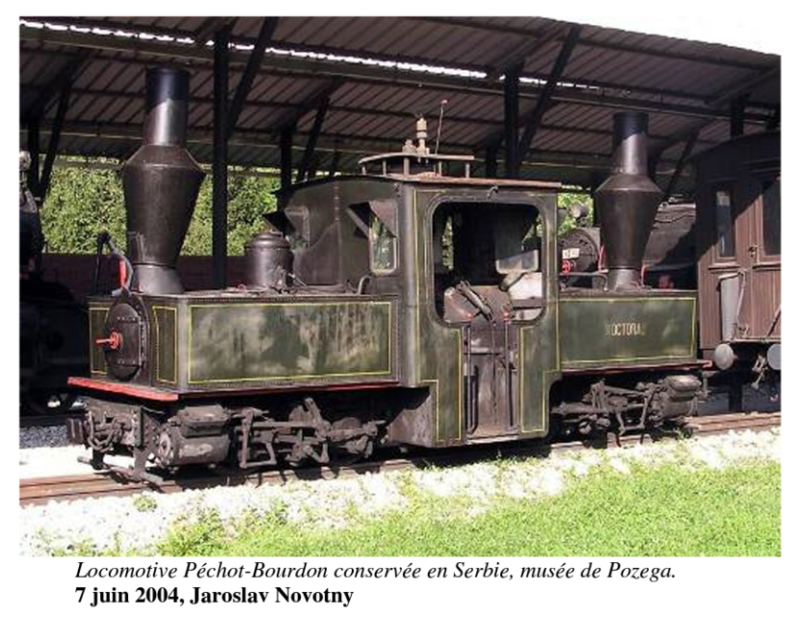 They are used with the steam train managed by the GECP on the Puget-Théniers-Annot route. 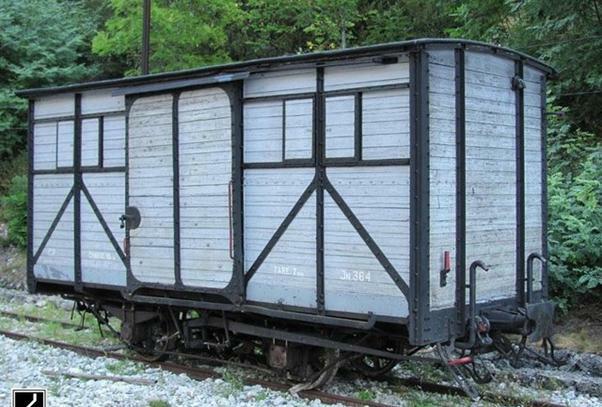 They are 2nd class bogie coaches, with wooden bodywork, built by Desouches and David (factory in Pantin) in 1892. 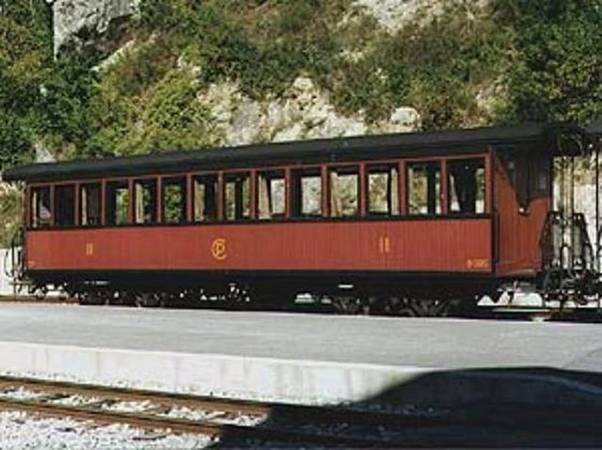 They were numbered B74 and B77 by the Chemins de Fer du Sud and were renumbered B505 and B508 at the creation of Les Chemins de Fer de Provence in 1925. 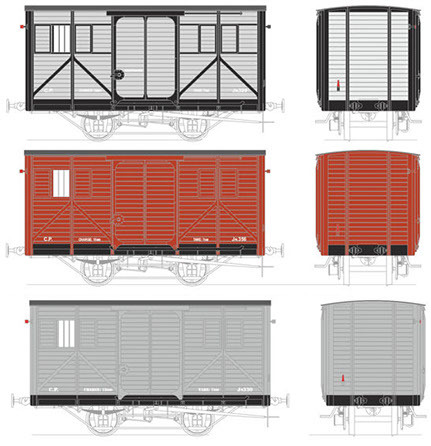 They are currently in the traditional colours for coaches on the network – a brown / red colour known as Brown-Van Dyck, with the window surropunds and roof in black. 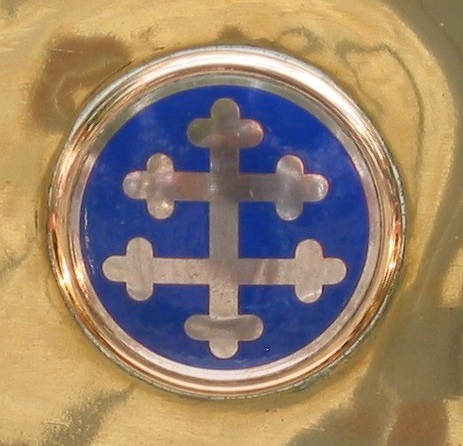 The symbol CP of the Railways of Provence o-is on the panel side of the coach together with the Class shown in Roman numerals (Collection: GECP). 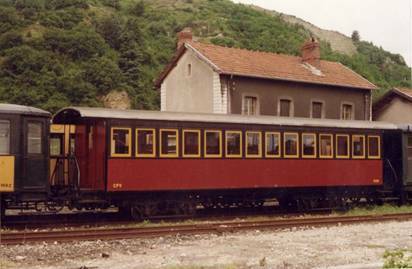 Coach AB 506 constructed by Desouches & David, which served originally on Les Chemins de Fer du Sud before being transferred elsewhere. 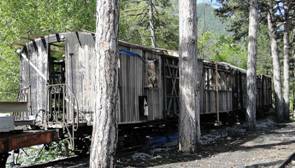 It is now part of the stock of the Vivarais Railway (CFV) – No coaches had a toilets! Only stops in stations allowed passengers to relieve themselves (Photograph: Pierre Virot, 2003). After the war, it was returned to SF on April 12, 1919. However, the years of military service had left it in a poor condition. 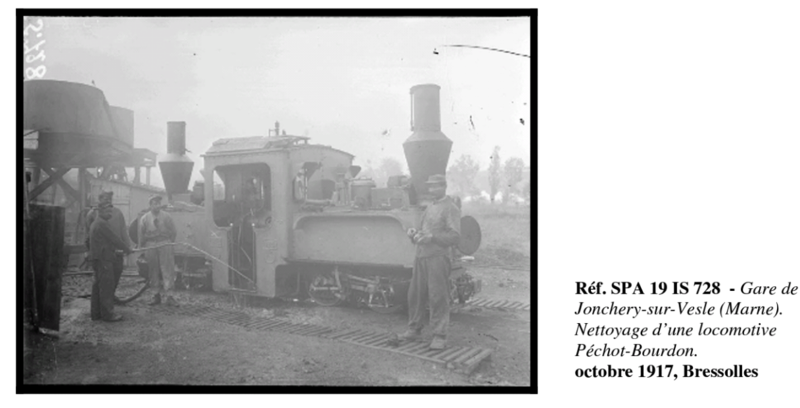 It took two years to get it back to operational condition, on 2nd April, 1921. It then served on the network for another 30 years or so. When the use of steam engines ceased after WWII, it escaped being scrapped. It was instead reordered to be used as a service vehicle for railway line maintenance. For this purpose, the interior was gutted to make space for various tools and supplies. Even a sliding door was installed on its side to allow loading of bulky items. It served in this capacity for about a decade, until it was retired during the second part of the 1960s. 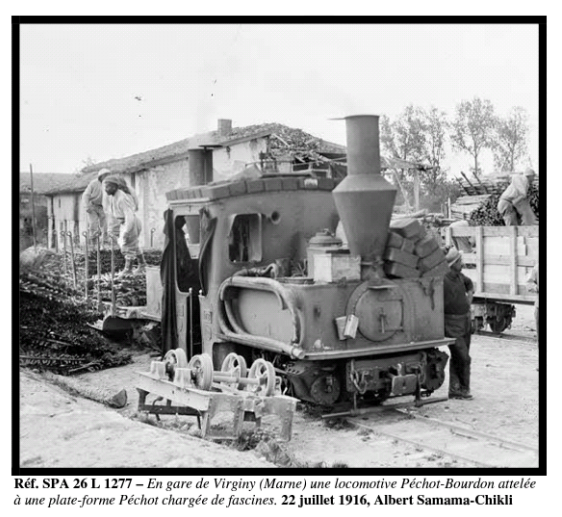 With the advent of the preservation movement, B505 was rescued by the GECP and put into service behind its steam engines in Provence. B508 was added to it and restored. 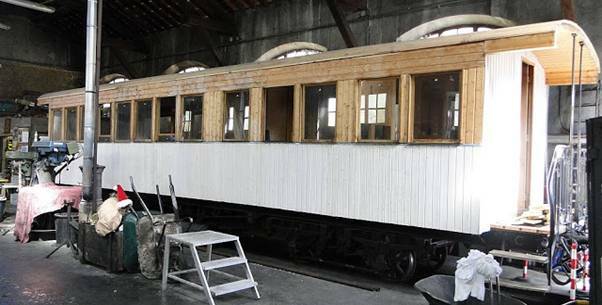 Further restoration work is ongoing at the Puget-Thenier workshops. 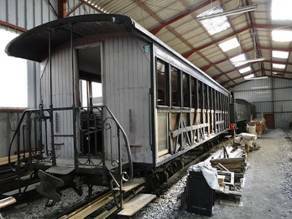 Pictures follow: Three coaches shown in different states of repair. 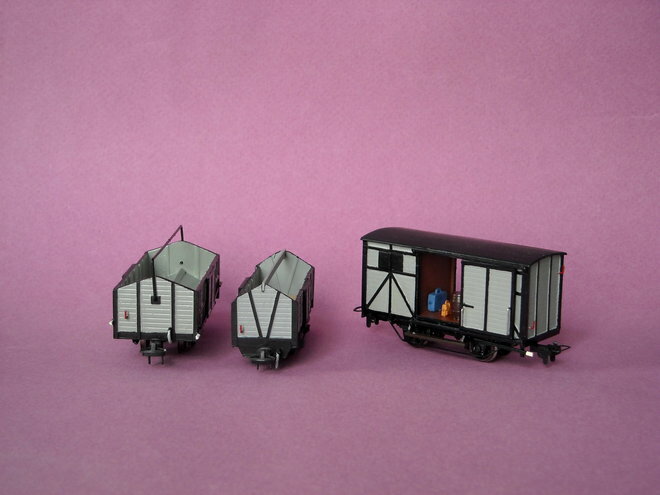 A number of modellers have sought to reproduce these coaches, usually in HOm scale. Photo Aubertrain – Model of a 2nd class coach, Desouches & David du Sud France – At the beginning of the operation, the car bodies were made of teak wood simply painted with the car number, the class indication in figures Romans and the monogram of South France, SF painted in yellow. 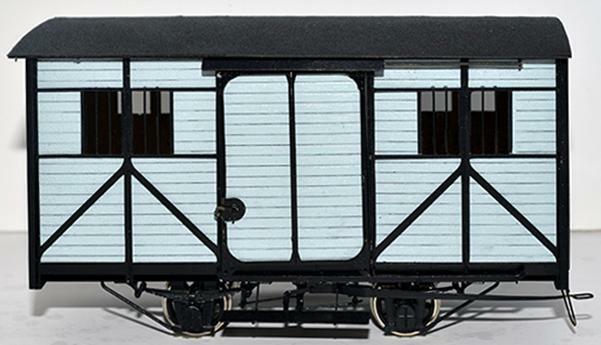 Photo Aubertrain – Model of a mixed car of 1st and 2nd class Desouches & David of South France. 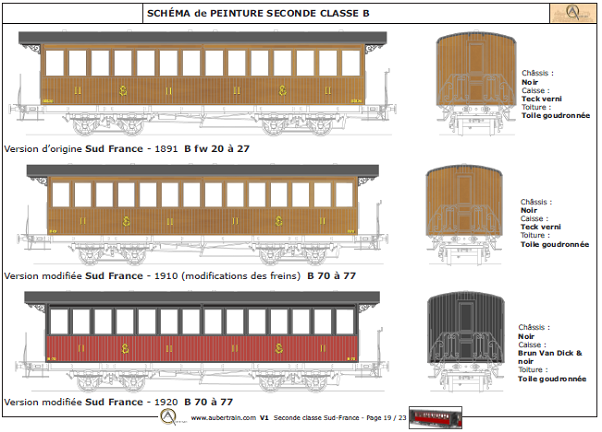 Photo Aubertrain – Model in Om of a mixed car of 1st and 2nd class Desouches & David with the new colors set up on the South France from 1898: for the box: brown-red Van Dyck and black for the roof. 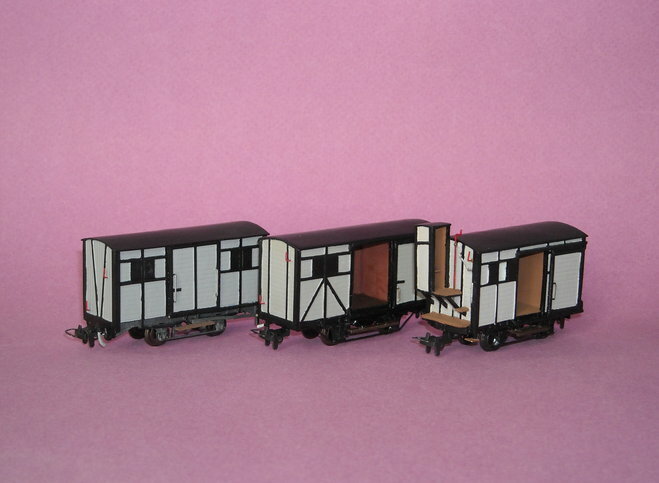 Bogie coaches from the series AB-501 to 508 made by Desouches and David. in HOm (Photo: Metrique43). 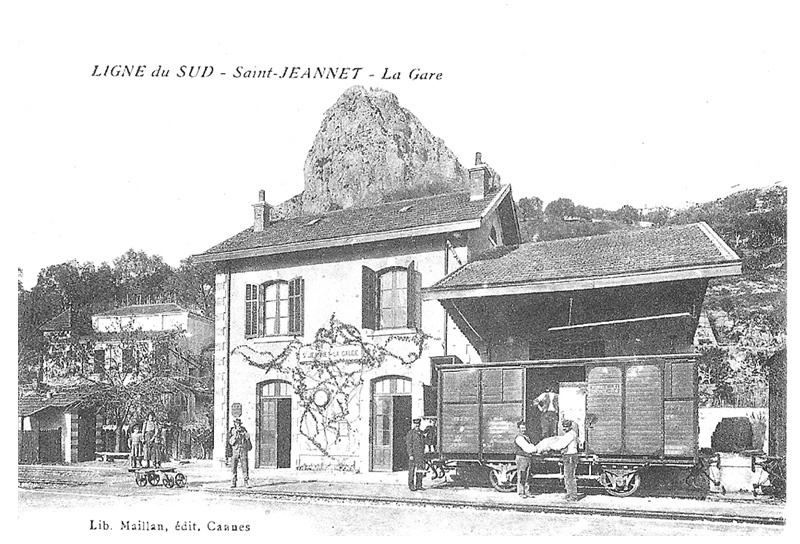 An early box van is being unloaded at Saint-Jeannet Station, another wagon is just visible on the right of the picture, and a luggage trolley can be seen sitting on its own in front of the station building. 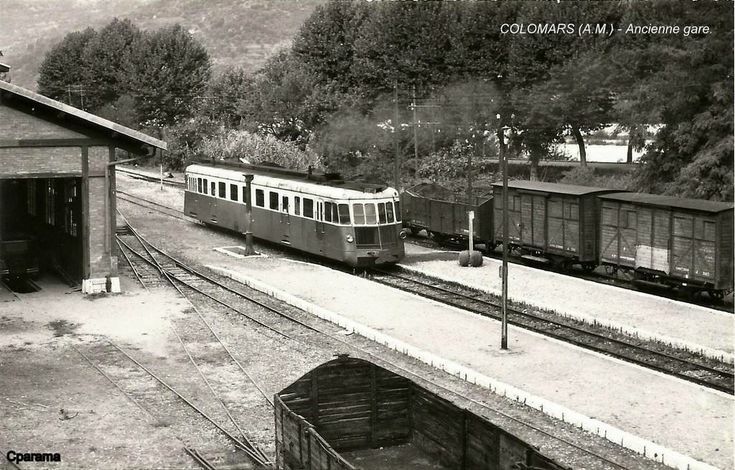 The next image was taken at Colomars Station at La Manda and was presumably intended to be a record of the Renault autorail in the station. 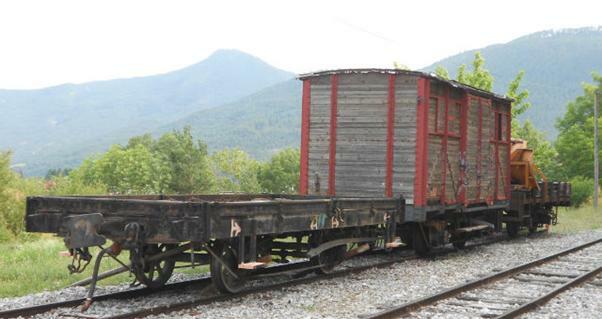 It does, however, give us sight of both some box vans and some open wagons at the station. 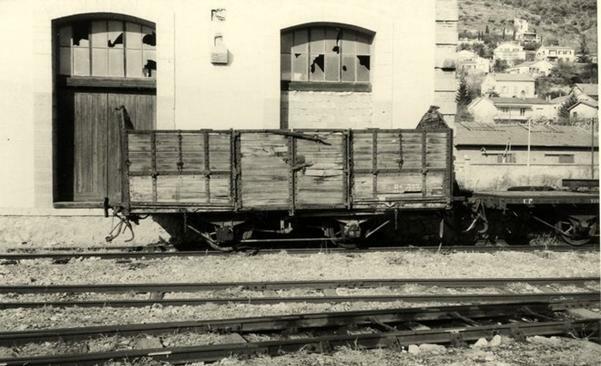 We have seen the next image before, it shows Vence station after the advent of the tramway and allows us to see a number of wagons. There is a goods train passing through the station which is made up primarily of box vans and a similar box van sitting in the goods lane. To the far right of the picture a TAM tramway box van can just be picked out and a flat tramway wagon sits just to the right of the wagon turntable. 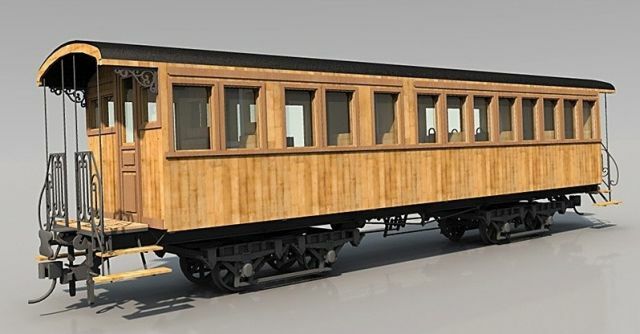 Both the tramway and the main line were of the same track gauge which meant that it was possible to transfer wagons from the tramway onto the mainline, however, the loading gauge was very different. That fact is illustrated by the pictures of models of wagons below, and particularly in the first image which shows two open wagons which run on metre-gauge track but which clearly have different loading gauges, the narrower wagon being one used on the TAM Tramways. ( I have not kept a record of where I found these images and so cannot attribute them, please accept my apologies if these are your images. I will very happily provide details of the copyright owner if they contact me). The image immediately above is taken at Flayosc, probably at about the turn if the 20th Century. 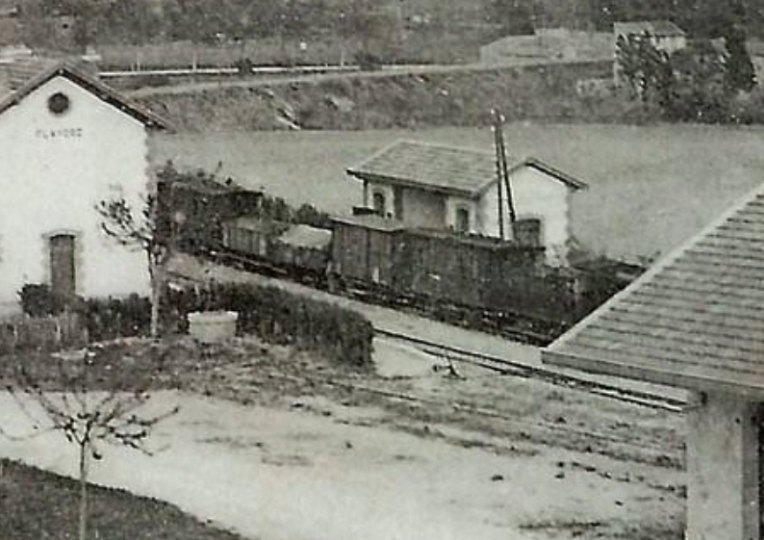 Just visible in the grainy image is the tender of a Class A or Class B 0-6-0 locomotive. It is also just possible to make out the expansion tanks in front of the loco cab. 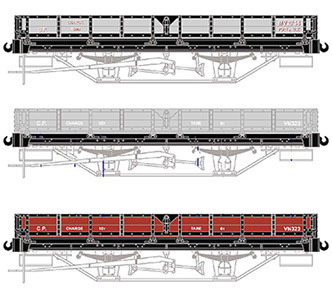 The locomotive is in charge of a mixed goods consisting of box wagons and open wagons. Another mixed train at Flaysoc in the charge of A Class A 0-6-0 tender locomotive with a variety of box vans and open wagons. 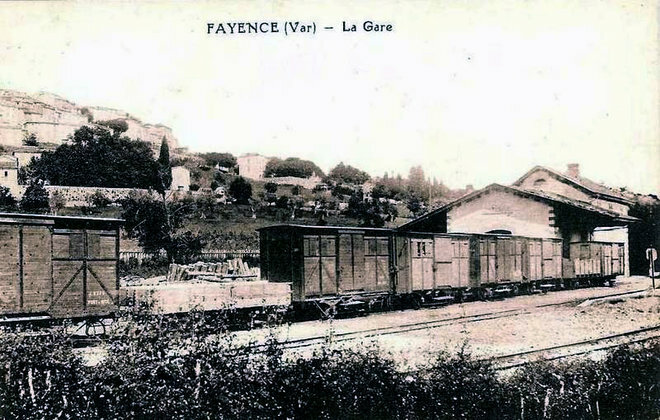 A train of mixed wagons at Fayence awaiting the next scheduled mixed goods. 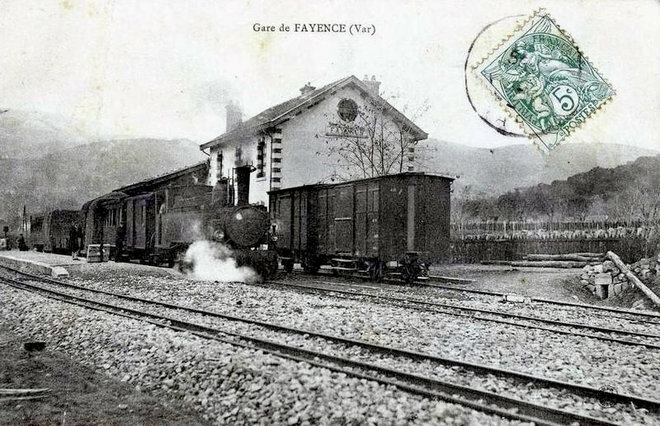 Again at Fayence, a mixed goods and passenger train sits alongside two box vans. 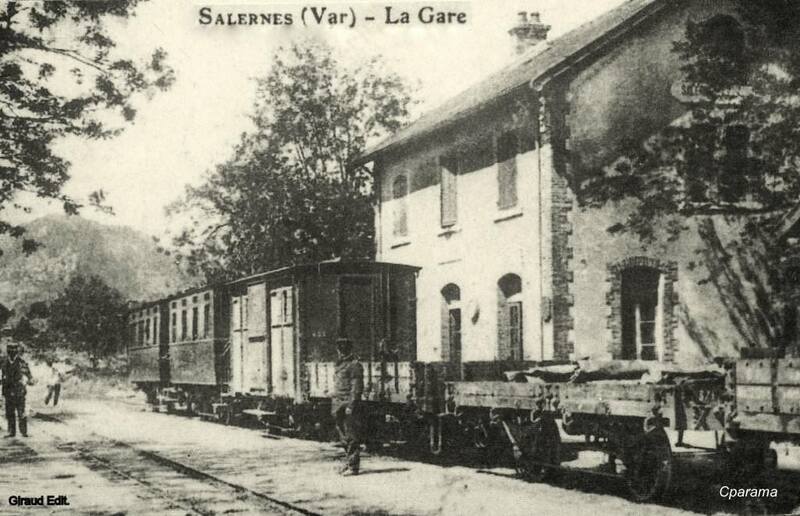 The image above shows a mixed passenger and goods train awaits departure at Sallernes at around the turn of the 20th Century, it includes two short-wheelbase carriages a box wagon and a series of different open wagons. At Callas, four wagons await the arrival of the next goods train, three box vans and a heavily loaded and tarpaulined open wagon. 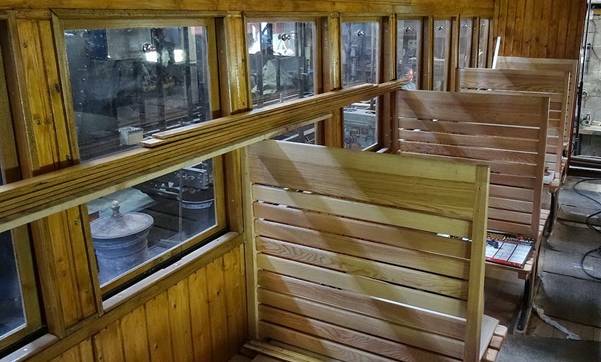 This first image is of a covered wagon probably built in 1912 and in use on the Central Var line. The next is of Rolling Crane No. 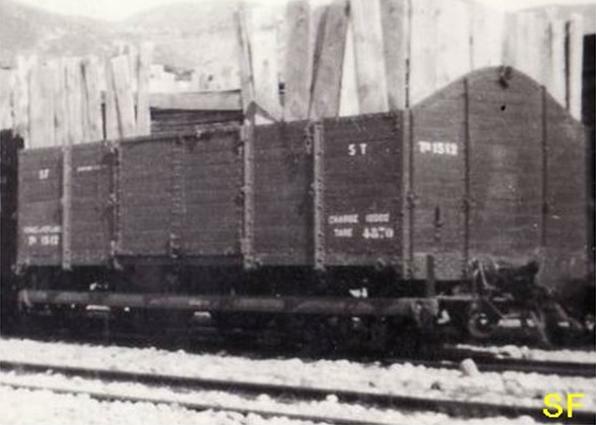 2 (1891) and what looks like the frame of a box wagon of the Central Var line of around 1888. 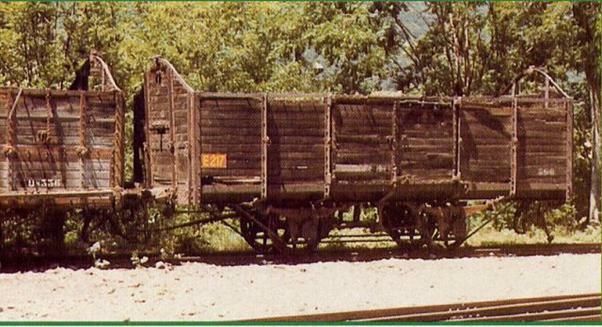 2-axle wagon as used by Les Chemins de Fer du Sud de la France (Photo: Clive Lamming). It compares well with the photos above. 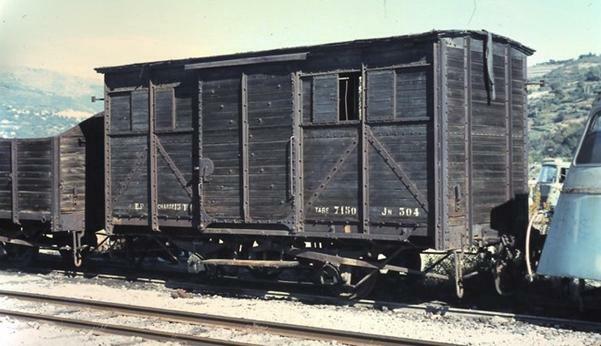 A series of photographs culled from the forum http://www.passion-metrique.net showing older wagons from the network which are still in use, renovated or in sidings waiting for work to be undertaken. 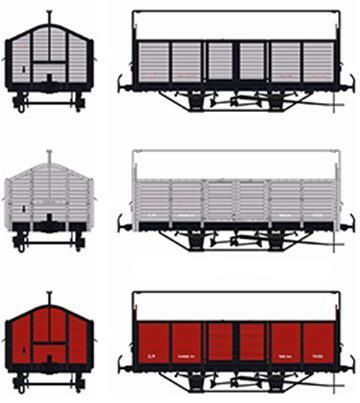 The images below show the paint schemes used on these wagons. 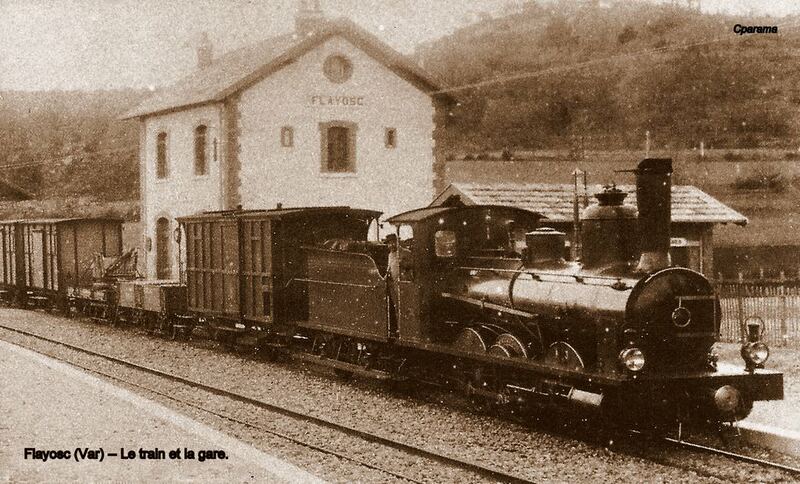 The Chantiers de La Buire was founded in 1847 in Lyon , in the district of Buyre or la Buire to build railway equipment  . The sites are in the suburb of Guillotière , on the left bank of the Rhone  near the castle of Buire  , whose estate had been sold to various owners. The company was founded by the brothers Frossard Saugy, from the Canton of Vaud in Switzerland, who founded the workshops of Jules Frossard & Cie  by partnering with a local mechanical engineer, Zacharie Rouveure  . 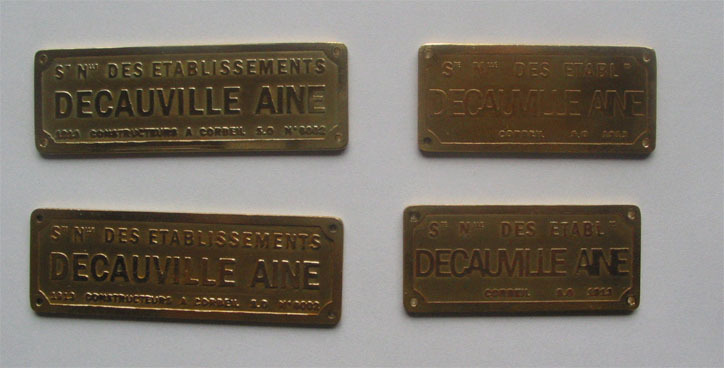 In 1866, the brothers Félix and Lucien Mangini bought the company with the help of Credit Lyonnais and founded the Société anonyme des Chantiers de la Buire. Augustin Seguin (1841-1904), their brother-in-law ran the business. In 1877, Chantiers de la Buire were acquired by the Compagnie des Fonderies and Forges de l’Horme and became Chantiers de l’Horme and La Buire. 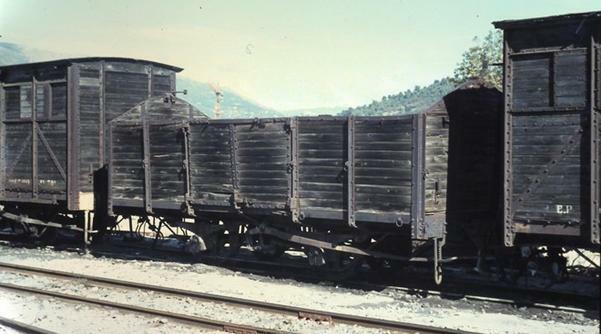 The workshops manufactured wagons (8 per day in 1856), all railway rolling stock (except locomotives) and parts for navigation (paddle wheel axles), industrial equipment. 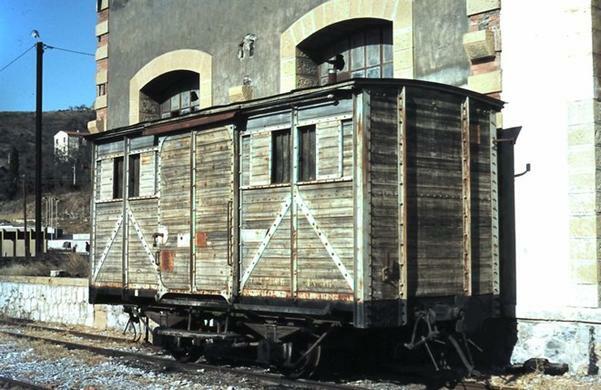 De Dietrich Ferroviaire was the designation of the Dietrich family ‘s railway rolling stock factory in Reichshoffen , Alsace , which is now part of Alstom under the name Alstom DDF . De Dietrich Ferroviaire supplied, among other things, the cars of the Enterprise train connecting Dublin and Belfast in Ireland . 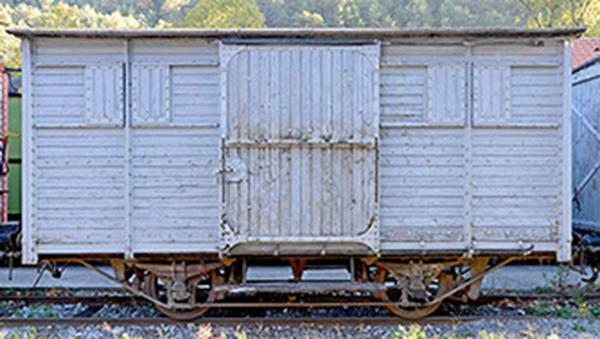 It was responsible for a significant number of wagons and coaches and supplied a number of these for the metre-gauge railways in Provence. De Dietrich Ferroviaire was a partner of Linke-Hoffmann-Busch of Salzgitter in Germany for the joint development of a diesel self propelled for the French national railways (SNCF) and Deutsche Bahn ; the result is known in France as X 73500 and X 73900 , also nicknamed the Whale, and at the DB as Serie 641. In 1995, De Dietrich Ferroviaire was bought by Alstom and is known since as Alstom DDF or simply by the place name Reichshoffen. The Lorraine Company derived from the companies of Dietrich and Cie de Lunéville was better known under the name of Lorraine-Dietrich. It constructed cars, railway rolling stock, heavy equipment and aircraft engines. The company was born as a result of the 1871 Frankfurt Treaty, annexed Alsace-Moselle to the German Empire. 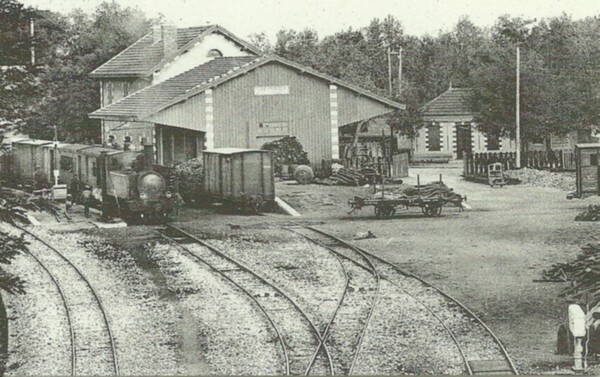 In 1879, in order to be able to continue his deliveries to the French railway companies, Eugene de Dietrich (1844-1918) founded a factory west of the new border, in Lunévillein Lorraine. 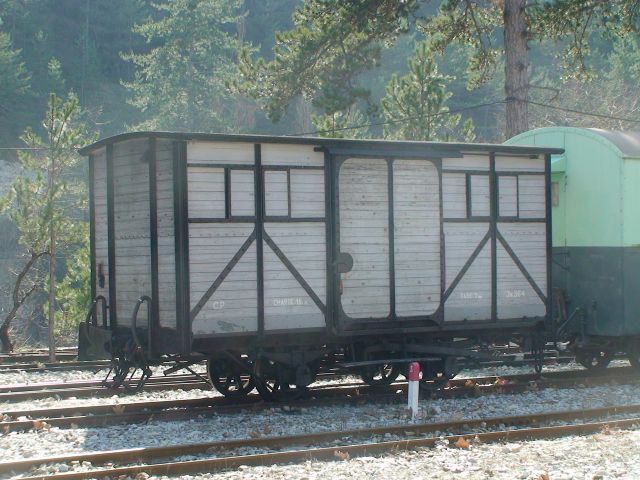 Originally, these workshops were only required to assemble carriages. In 1897, in view of the importance of this workshop, the creation of a distinct society, subject to French legislation, was decided; it was renamed “Société de Dietrich et Compagnie de Luneville”. The management of the company was provided by Baron Eugène de Dietrich, assisted from 1890 by his nephews Adrien de Turckheim , then a young dynamic and enterprising engineer, and Eugène de Turckheim. 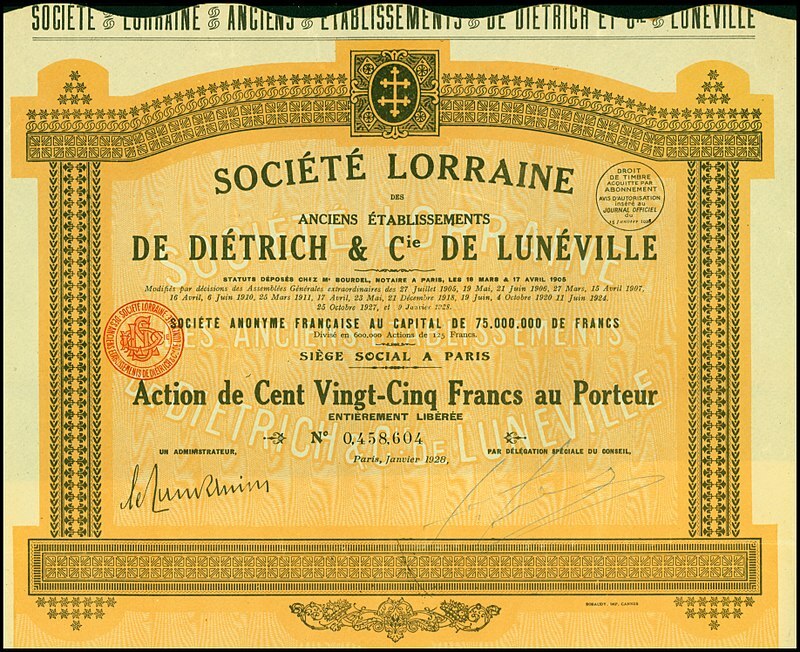 In 1905 , Dietrich’s family withdrew from the firm and on March 4, 1905, the Luneville Company was transformed into a public limited company with a capital of 5 million francs with no ties to its first founders. It became known under the name of Lorraine-Dietrich. Its head office was located in Paris at 8, Boulevard Malesherbes . The Company adopted as its logo the Cross of Lorraine , gold on blue background. Its area of work, according to its corporate objectives was the “construction of wagons, automobiles and all mechanical objects for the transport industry by automobile and other means”. In 1907, a second factory was created, this time in the Paris region, in Argenteuil . This factory specialized in the manufacture of passenger cars, the “Lorraine” 3 . The Lunéville plant continued to focus on the production of railway equipment, but also of heavy commercial vehicles and racing cars ; It had a workshop specialized in the construction of prototypes intended to compete in car rallies and endurance races. Throughout the first half of the 20th Century, the Luneville factory continued to specialize in equipment for the railways. Lorraine-Dietrich was taken over by Gnome and Rhône in 1941. I have been unable to find any significant details about this firm. 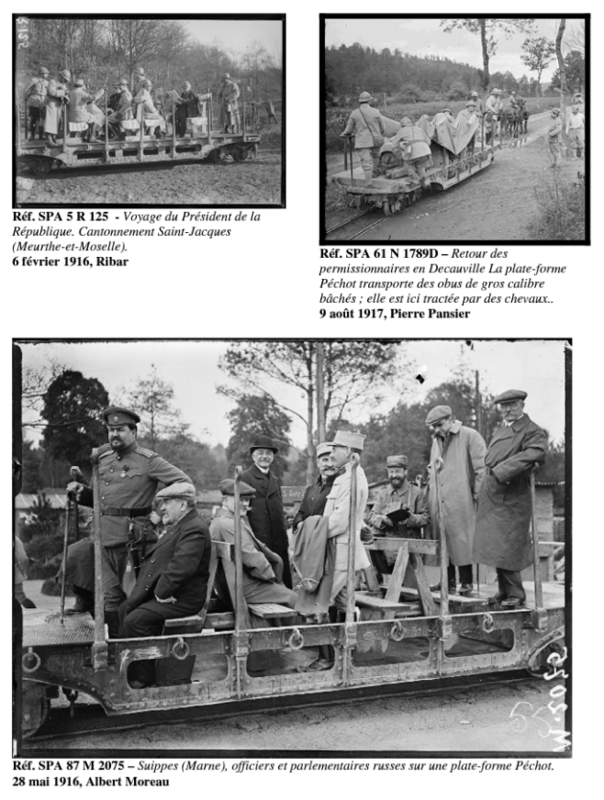 Evidence of them supplying a series of different tramways around France can be found on various websites. The Company was formed in Lyon in 1847 Its forges were located in the town of Saint-Julien-en-Jarez (Loire) in the valley of Gier. The company grew out of an association between Augustin Girardet and Jacques-Marie Ardaillon. The company owned the iron mines of Saint-Chamond and Veyras. In 1877, the Company was reformed after taking over the Chantiers de La Buire and became Les Établissements de l’Horme et La Buire and in 1895 the company was put in liquidation and disappeared replaced by the Société Nouvelle des Établissements de l’Horme et de la Buire. 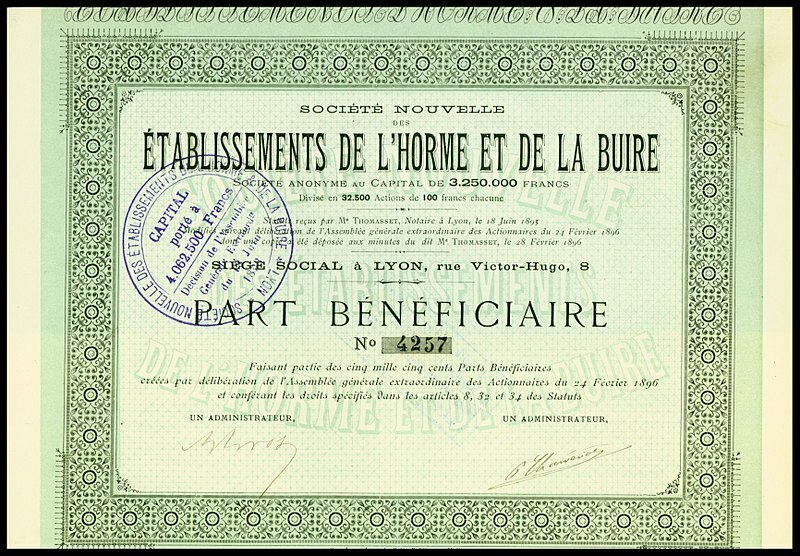 La Société nouvelle des Établissements de l’Horme et de la Buire was created in 1895 in Lyon at maitre Thomasset on 18th June 1895. It succeeded the Company of Foundries and Forges de l’Horme which had been put in liquidation on 27th December 1894. The headquarters of the company was in Lyon , Rue Victor Hugo in the second arrondissement. In 1899, the electrical construction department was sold to the Swiss firm Alioth, which moved to the Lyon site and took the name of Alioth-Buire. In 1899, the electrical construction department was sold to the Swiss firm Alioth, which moved to the Lyon site and took the name of Alioth-Buire. 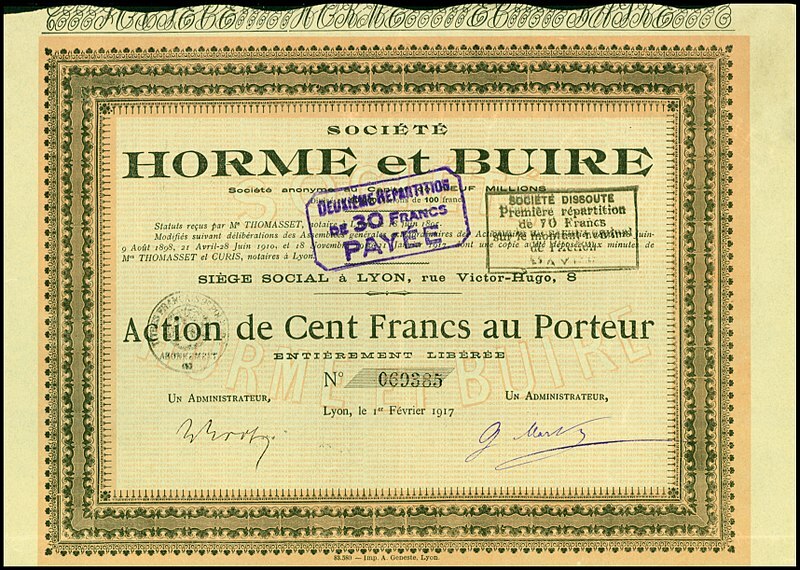 The Societe Horme et Buire was created in 1909 to replace the Société Nouvelle des Establishments Horme and Buire founded in 1895 and in financial difficulties. It disappeared in 1929 and the site was then occupied by Les Acieries due Nord. In the 1870s, the Decauville family, exploited a property of 700 hectares of sugar beet land and a boiler-making workshop in Petit-Bourg (in the commune of Evry), where they manufactured equipment for refineries and distilleries (boilers, tanks, steam engines). 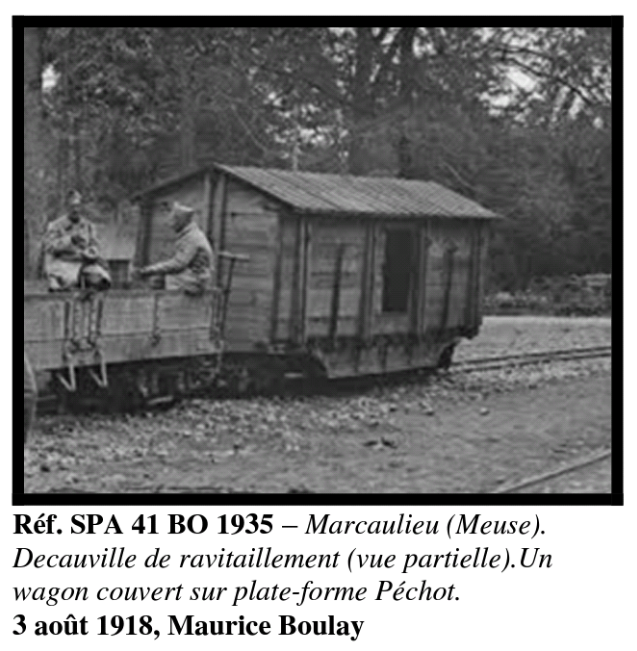 Paul Decauville invented a system composed of modular track which could be handled by two men, and small carts. 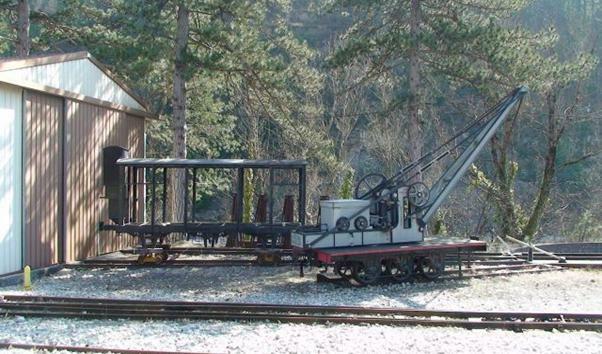 This track system proved very popular and the range was widened to include track widths from 0.40 m to 0.60 m. This portable railway enjoyed great success in a variety of different farming and industrial locations (beet, cereal and wine, mining, quarrying and forestry). The factory at Petit-Bourg grew from 35 workers in 1876 to 1,600 in 1916. 7 factories were established in the provinces and abroad, in Italy and Spain. As the First World War approached this flexible, easily moved, track became very important in supplying the troops in the trenches. The 0.60 m track became standard and the company supplied locomotives and wagons for the war effort. The Company’s contribution to the war was significant. 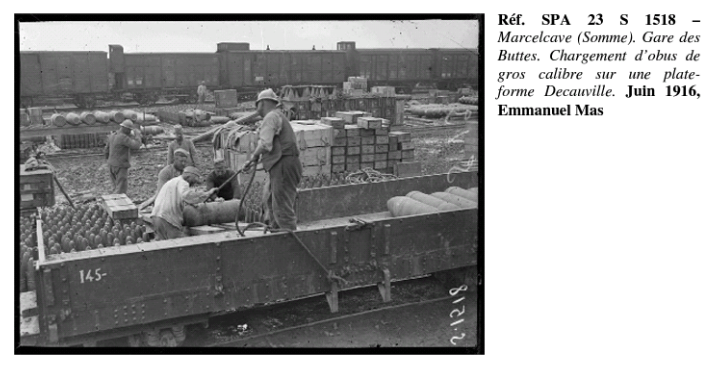 Details can be found in ‘Les Petits Trains de La Grande Guerre: La voie de 0,60 m militaire en 1914-1918’ (les-petits-trains-de-la-grande-guerre.pdf). The pictures below show some of the rolling stock and locomotives produced by the group on companies and factories for the war effort. 1. Roland Le Corff; http://www.mes-annees-50.fr/Le_Macaron.htm. Retrieved 13th December 2017. 2. AuberTrain; http://www.aubertrain.com/DOWNLOADS/INS-S.pdf. Retrieved 25th January 2018. 3. Les Chemins de Fer de Provence; Les Forums de Passions Métrique et Etroite; http://www.passion-metrique.net/forums/viewtopic.php?f=2&t=4143&sid=4bb1d3e27f39656eb05c8d08b7a7801d. Retrieved 25th January 2018. 4. Chantiers de La Buire; https://fr.m.wikipedia.org/wiki/Chantiers_de_La_Buire, accessed 4th March 2018. 5. 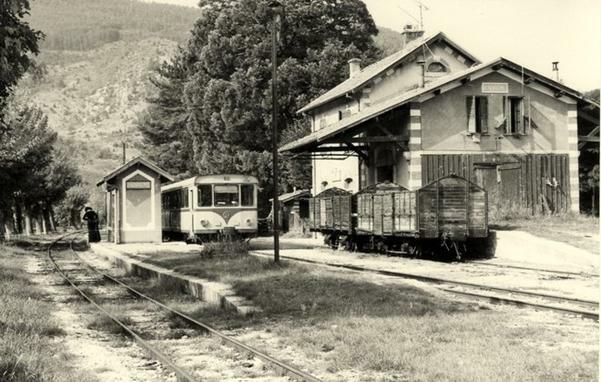 Aubertrains; http://aubertrain.com/sud-france-om.html, https://www.google.co.uk/url?sa=t&source=web&rct=j&url=http://www.aubertrain.com/DOWNLOADS/INS-S.pdf&ved=2ahUKEwj3o7vL29PZAhVjFMAKHRDNBe4QFjADegQIBBAB&usg=AOvVaw11KImpMXD1o2poqoP2_mCM, and http://aubertrain.com/chargements.html, accessed 2nd March 2018. 6. De Dietrich Ferroviaire; https://en.wikipedia.org/wiki/De_Dietrich_Ferroviaire, accessed 3rd March 2018. 7. Lorraine-Dietriche; https://fr.wikipedia.org/wiki/Lorraine-Dietrich, accessed 4th March 2018. 8. Compagnie des Fonderies and Forges de l’Horme; https://fr.m.wikipedia.org/wiki/Compagnie_des_Fonderies_et_Forges_de_l%27Horme, accessed 5th March 2018. 9. https://books.google.fr/books?id=MhjBHF5Qrd4C&pg=PA66&dq=Compagnie+des+Fonderies+et+Forges+de+l%27Horme&hl=fr&sa=X&ei=QPsDUPCKMamH0AWbyNnBBw&ved=0CGoQuwUwCDgU#v=onepage&q=Compagnie%20des%20Fonderies%20et%20Forges%20de%20l’Horme&f=false, accessed 5th March 2018. 10. 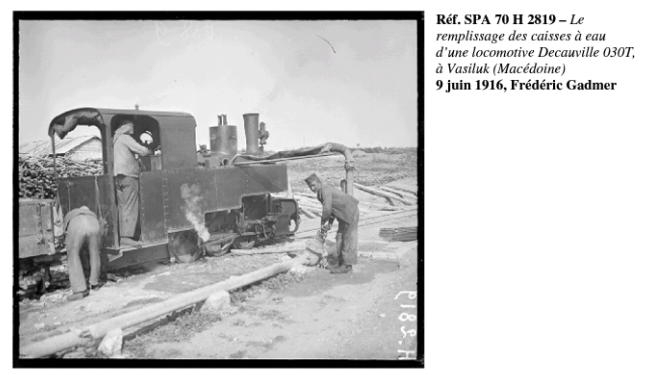 Les Petits Trains de La Grande Guerre: La voie de 0,60 m militaire en 1914-1918; https://www.google.co.uk/url?sa=t&source=web&rct=j&url=http://archives.ecpad.fr/wp-content/uploads/2011/04/les-petits-trains-de-la-grande-guerre.pdf&ved=2ahUKEwi6pNHA4tjZAhVKIcAKHfZNAIgQFjADegQIBhAB&usg=AOvVaw3eC_0k71f6qpk94qFhj5cz, accessed 6th March 2018. 11. 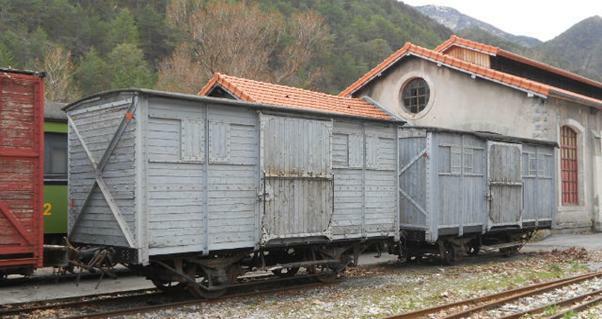 Site rhonealpes.fr Electronic Records of the General Inventory of Cultural Heritage in Rhône-Alpes: The railway equipment factory Establishments in Horme and Buire then car plant Chantiers the current theater of Buire Alphodèles, accessed July 18, 2012. 12. Site Christian Palluy, Neighborhoods Lyon – the suburb of Guillotière -1, accessed 18 July 2012. 13. http://bechevelin.canalblog.com/tag/Buire, accessed 18 July 2012. 14. Site Encyclo.43: The Buire, accessed 18 July 2012. 15. Pierre Cayez, jacquard and blast furnaces to the origins of the Lyon industry, University Presses Lyon, 1978, p. 316, accessed July 18, 2012. This entry was posted in Railways and Tramways Around Nice, Railways Blog on March 7, 2018 by rogerfarnworth. First, I must say how much I enjoy your posts on Passion Metrique. I lived and worked down there for 8 years up to 2003 so I am very familiar with the territory. Reason for the contact is that I have a copy of “Les Tramways de Nice et de la Cote d’Azur” by Jean Robert which you are very welcome to borrow. However, it weighs about 1.85 Kilos without packaging so not something to put casually in the post ! I live in Suffolk if you happen to be this way. Thank you for your welcome positive comments. That is quite a large book isn’t. And it is very kind of you to consider loaning it to me. Purchasing second-hand could be as much as £60. I’ll check out postage costs. Does it have a section on the Nice to Levens Tramway? Apologies for the slow response. I’ve had a look at postage prices and the cheapest I can find would mean a total of £10 for postage to me and return to you. Probably this is a bit too high for me. So, while I really appreciate your offer, I think I need to say, no. Thank you for your kindness.